The netting is stretched over the wall framing, and a special pneumatic stapler drives staples every 1/4 inch or so, up down and around every cavity. Then a small hole will be cut for the hose that pumps the loose-fill cellulose insulation into the cavity until a minimum pressure is reached (3.5 lbs/cu.ft.). 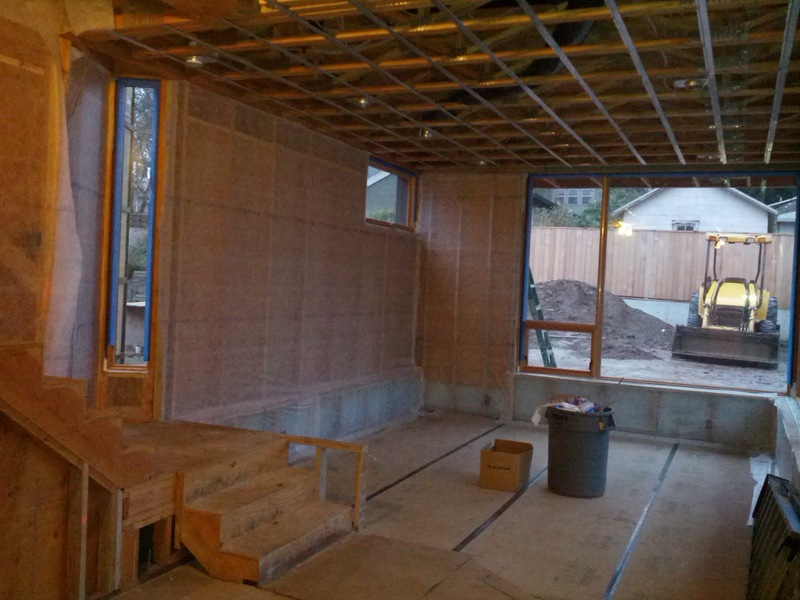 It is both exciting and nerve-wracking to see the studs covered. 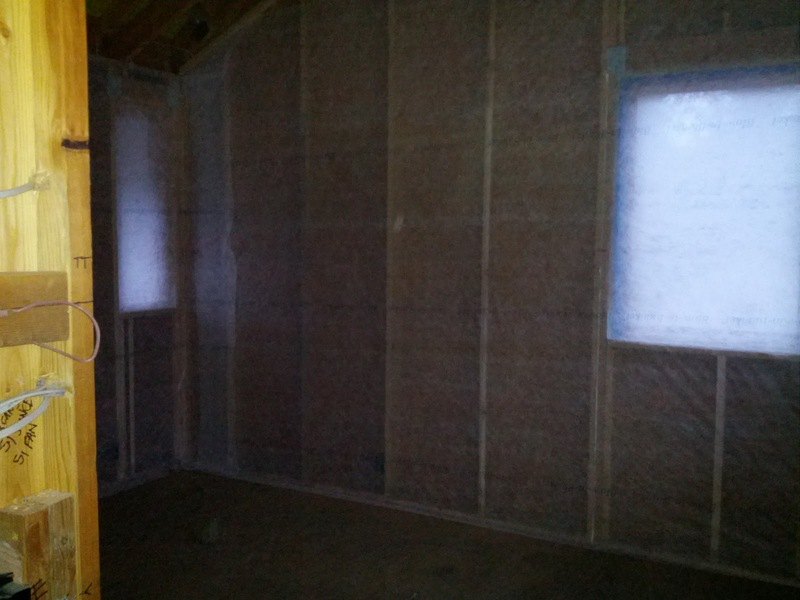 Exciting because the white netting starts to give the impression of the finished room. Nerve-wracking because we hope we have everything that needs to be in the walls already in the walls...it is about to become much, much more difficult to add anything. It is actually kind of beautiful/spooky having the netting stretched continuously across windows.